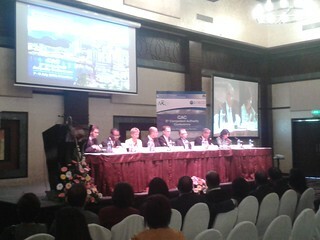 The 5th Global Forum Competent Authorities Conference took place on 7-8 July 2016 in Mauritius and was hosted by the Government of Mauritius. More than 110 Competent Authorities from 66 jurisdictions shared experiences and discussed challenges ahead to fight tax evasion and avoidance efficiently. Competent Authorities recognised that they are responsible for putting into practice many of the tax initiatives that have revolutionised the world of international tax cooperation in recent years. This includes not only exchange of information but BEPS as well. Their jobs have become increasingly complex and demanding and these annual conferences are all the more vital to ensuring that they are up to date with the latest developments. The participants were very engaged and interested in all of the topics. One of the greatest benefits of the event is that officials have an opportunity to meet their counterparts in person, which enables them to discuss outstanding cases and develop closer connections with officials from around the globe which in turn facilitates closer cooperation. For more information please contact Monica Bhatia, Head of the Global Forum Secretariat at monica.bhatia@oecd.org.